This is always the problems with boys—there are no real suggestions when it comes to décor for them! And if there are, they are always lacking in inspiration. But in today's article, we are going to demystify this idea and show you how easy it can be to decorate a room for a boy so that it is both beautiful and perfect. It will become a real comfortable nest that is pleasant and visually attractive! With our homify tips, you will be a little clearer and have an abundance of ideas when it comes to decorating this type of room, even if it is a small room. To prepare and organise your child's room, you can even start while you are still pregnant! Remember how quickly your baby is going to grow and he is going to need a room just for him, in his own style. So it's important (and convenient) to design a baby's room that can be easily adapted into a boy's room just be removing certain elements such as the crib and changing table, and adding other elements such as a bed and a study area. This is much more economically friendly and more practical. By following some of the following tips, your child can grow without you needing to change the décor and style of his room too often. We will have to be practical today, but in essence, we are thinking about tomorrow. Buying different furniture pieces and décor items every few months is not financially sustainable and becomes tiring. You can, however, change a few small details such as accessories and toys, which is far easier and cheaper! Mommies and Daddies are you prepared to create the perfect kid's room? Well let's roll up our sleeves and get to work! Timeless refers to something that endures in time . This is the trick when it comes to a boy's bedroom! There is no need to recreate a room at every stage of your child's life—they grow way too fast, fashions and styles come and go too quickly and what we like today we hate tomorrow. Choosing a theme is always a bit difficult—kind of like choosing a wedding theme. Everything has been done! Leave behind the ideas of puppets or clowns or anything too specific that will make the room very defined. The best option is to rather focus on your son himself! How perfect is that for a theme? Once you've decided on a theme, go with a neutral choice of colours, mood and style, whether you want a room that is classic, modern or eclectic. How amazing is the neutral style in this room, designed by tasteful decorator Angela Pinheiro Home Designs? The subtlety, class and taste all shine through and are key words in this Ideabook! Our second suggestion brings us to the topic of choosing a beautiful colour. So? 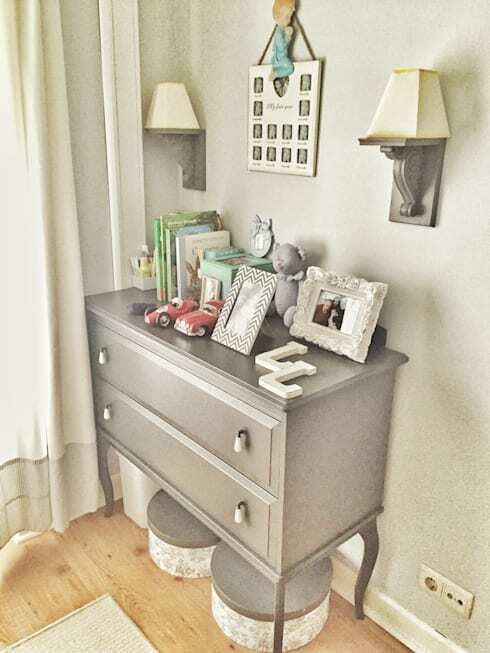 It's very simple to choose a neutral colour for the room of your child, which will be discreet and easy to pair with furniture and accessories in the room. It will also last throughout the child's life! The secret is to count on shades that work well together such as white, grey, beige or black—although the latter colour is not advisable for a bedroom, much less the bedroom of a child. Neutral colours are timeless, versatile and give the environment a sense of tranquility. 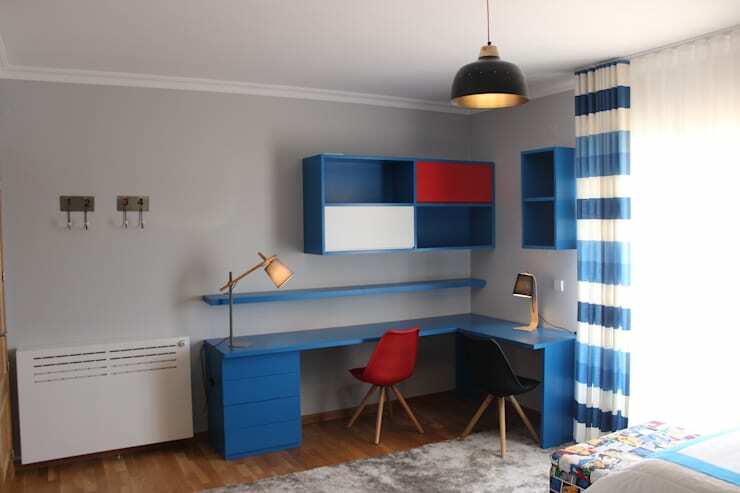 By choosing them, you can combine other colours and accessories such as green, blue, pink, orange and yellow, allowing you to decorate your boy's room. The neutral walls will serve as a backdrop. A beautiful and pleasing colour that neutralises the environment and creates a good atmosphere is a key choice, taking into account the influence that colours have on our behaviors. 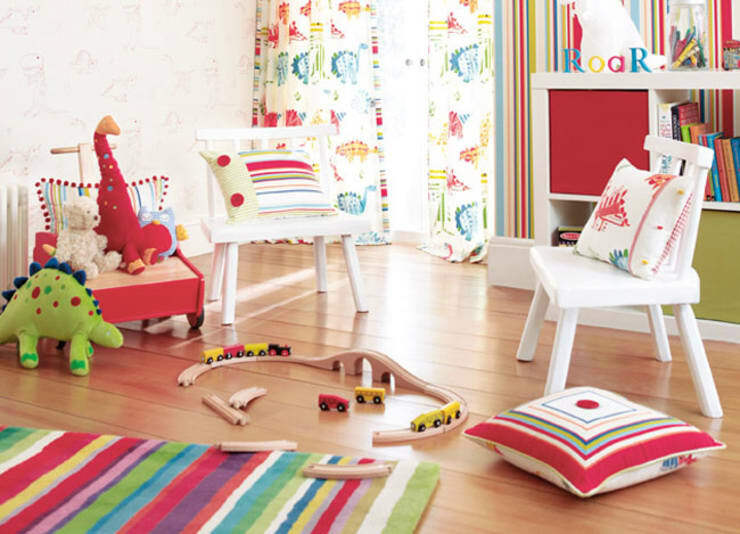 In a child's room, we only want good energy so opt for bright colors and pastels. Choose a big bed is a fantastic investment! While your little boy is still so small, it can be a little strange to see a toddler in a big, adult bed. But the fact is that they grow up so fast—that baby that you are holding in your arms right now, will soon be hugging you in his long arms! Boys need space and to feel comfortable. A large bed is guaranteed to last throughout their childhood and adolescence, so that you don't have to worry about spending money on a brand new bed! Have a look through homify's range of beds for kids and get some inspiration! A childhood is often spent playing… every day, several times a day! Kids create, imagine, discover and explore, which is incredibly important for their development as a human being. It's a prerequisite and helps them to develop skills such as memory, attention, imagination and imitation. To play allows kids to reflect the reality of the culture and environment that they live, how they internalise their experiences and how they question the rules and their role in society. The act of play encourages the development of learning to do, learning to live together, learning to know and above all, learning to BE! It encourages autonomy, self-confidence, language, concentration, attention and thought. Therefore, we must provide our children a leisurely space to play in their bedroom, so that they can be and explore their games and toys at will. This is a feature that you cannot skip, without a doubt! Don't you love this play area by Formafantasia? There is a time for work and a time for play—that's life! In this sense, it is necessary to create different spaces to separate different activities. There is the play area, as we saw above, but there is also the area for work and study. What is crucial is to create a clean area that inspires hard work and focus. All that you need is a desk, a chair, a lamp, some shelves and a few decorative pieces. The more minimalist, the better! Get clued up with this: Guide To Minimalism: All You Need To Know. Your son will feel prepared and focused during times of study! Once a boy always a boy right? 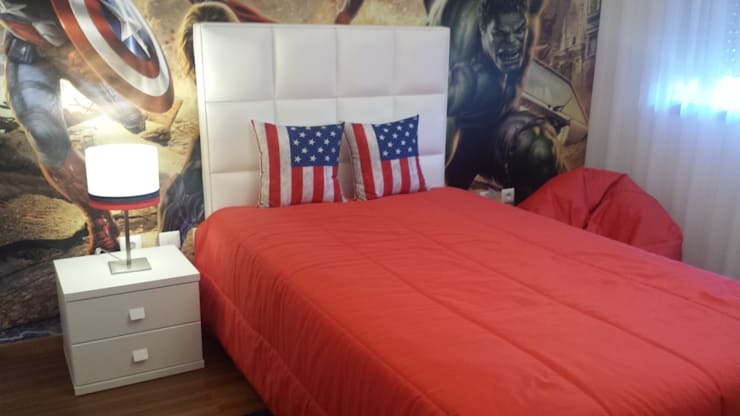 So his room needs to be filled with décor and accessories that are typical of his favourite hobbies and interests, such as cars, Lego, soft toys and books. You can also include subtle details that complement the décor in the room, such as photos or letters (as seen in the photograph) that make up the initials of his name. Decorating a room for a boy does not necessarily mean cramming it with posters of cars or with Disney figures. It should maintain a balance between good taste, elegance and discretion. This is the motto of a beautiful and dignified room, filled with inspiration! How did you decorate your boy's bedroom? Have you had to change it over time? Share your tips with us!